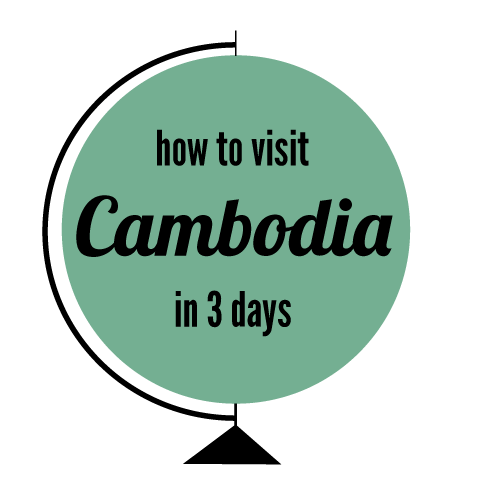 Cambodia has so much to offer, and we only had 3 days in Siem Reap. While I wish we had more time, three days was just enough to get a great taste. Here are some things we learned and I hope it can help you make the most of your trip. Get a good Wat (temple) itinerary. 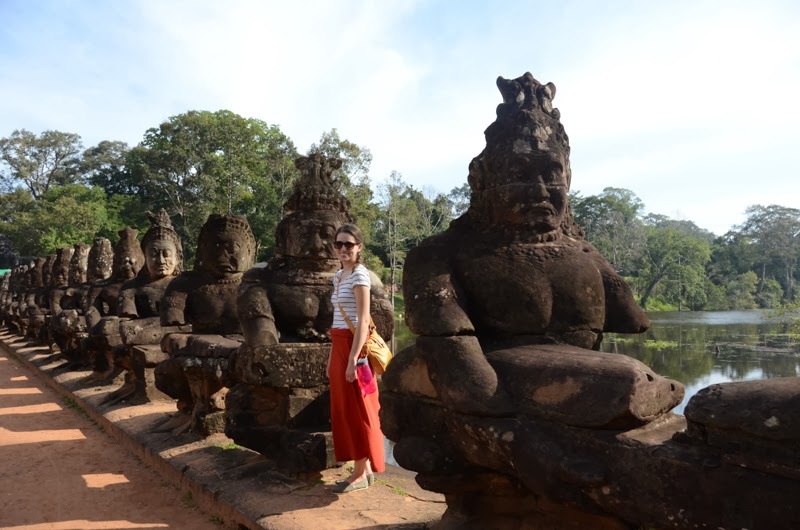 There are sooooo many temples in the Angkor complex and the surrounding area. It is absolutely mind boggling. Get a plan and a good driver. You can see the must-sees first and work your way down, but you risk being let down when you start with the dessert first. This is our itinerary. Hire a guide and a driver. Sure, you can ride a bike among the temples, but the entire complex is massive. 154-square miles of massive. Plus it was 96 degrees and 100 % humidity. Our tuk-tuk driver was a godsend and I LOVED having him. We booked it through our guesthouse (he worked there as well) and he was fantastic. It cost between $10-30 per day depending on the distance. A private guide, like everything else in Cambodia, was very affordable. We learned so much about Khmer culture. He was able to point out things like, "Oh, listen to the parrots sing." Those are parrots!? I had no idea. It's amazing what a little enlightenment will do. However, we never hired a tuk-tuk around Siem Reap city center. You will spend half of your time warding off eager drivers. Everything is so close you can easily walk. But I'm told you shouldn't pay more than $1-2 for a ride within the city center. Even cheaper than Thailand (even if this selection is slimmer). If you see it, buy it. Haggling is part of the fun. Best success is found when you bargain with a light-hearted attitude and a smile. Patience is a virtue. 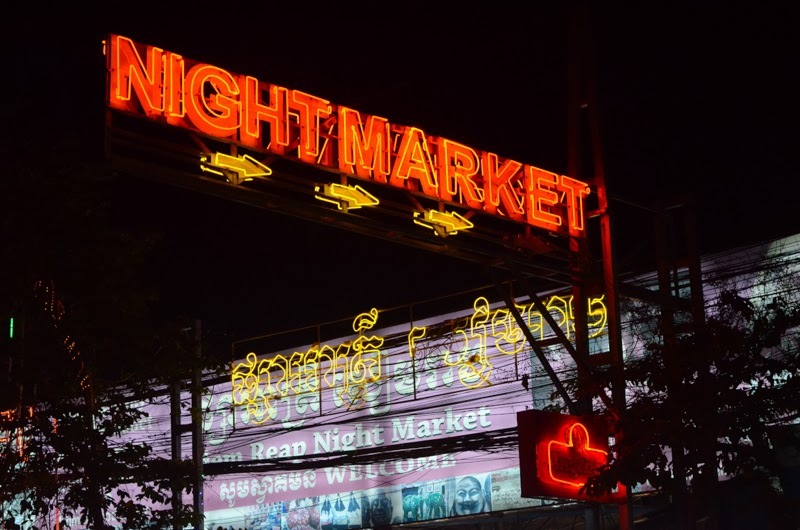 The night market is a hoot. 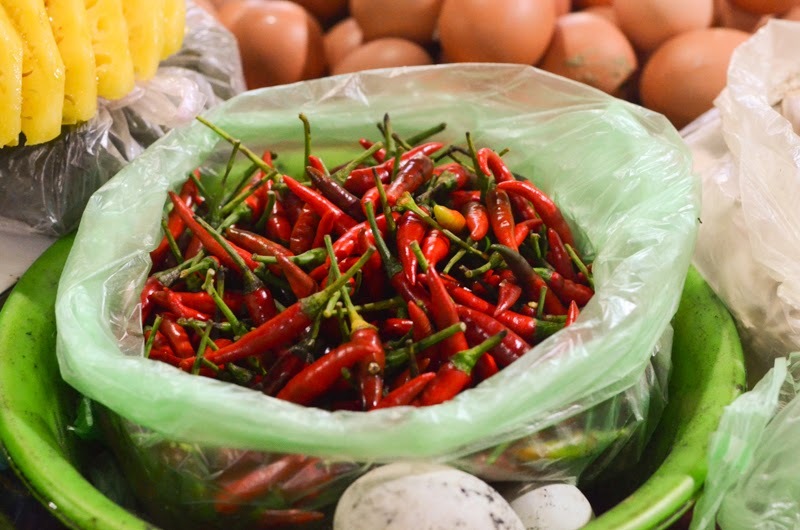 Enjoy the wet market (in the a.m. in Psar Chaa), but make sure to wear close-toe shoes. Scams abound. You can be smart to never fall prey. This is a hot topic: I don't hand out money to street beggars. 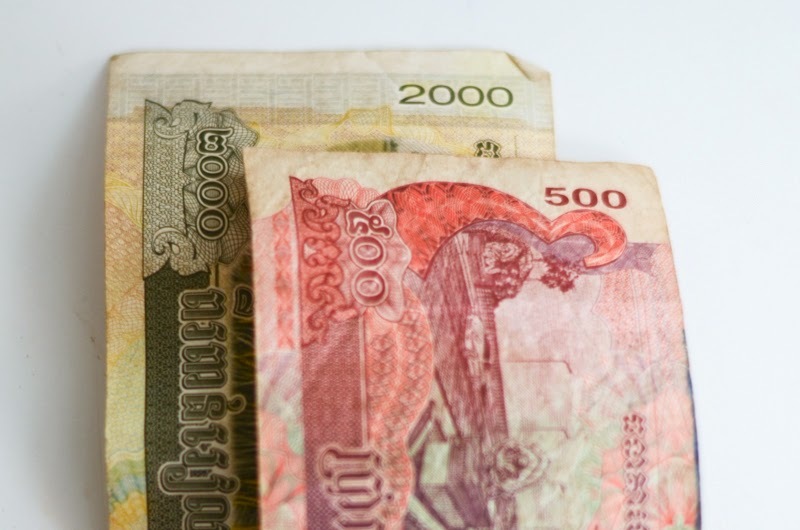 Cambodia has such a stark divide in wealth and the poverty is devastating. However, your dollar pushed into the hand of a child beggar isn't saving the world. It is perpetuating the problem. Our guide shed light on the situation, saying that many parents will keep their kids home from school to beg at tourist sites. You will undoubtedly encounter pushy tuk-tuk drivers and relentless beggars. My advice to you is to be discerning. Keep your valuables safe and close to you. If it sounds too good to be true, it is. Wear light, breathable clothing. Good walking shoes are a MUST (I wore TOMS Slip-Ons ). Modesty (covered shoulders and legs) is required, especially at Angkor Wat. For pictures sake, wear something colorful. The temples are pretty flat in color and bright colors will help you stand out. Eat the food. Learn some basic Khmer. Talk to anyone and everyone. It's only three days so all you can do is taste it, but still immerse yourself! Most important, talk to people! We found that many locals loved to talk and we learned so much about the country and their daily lives. 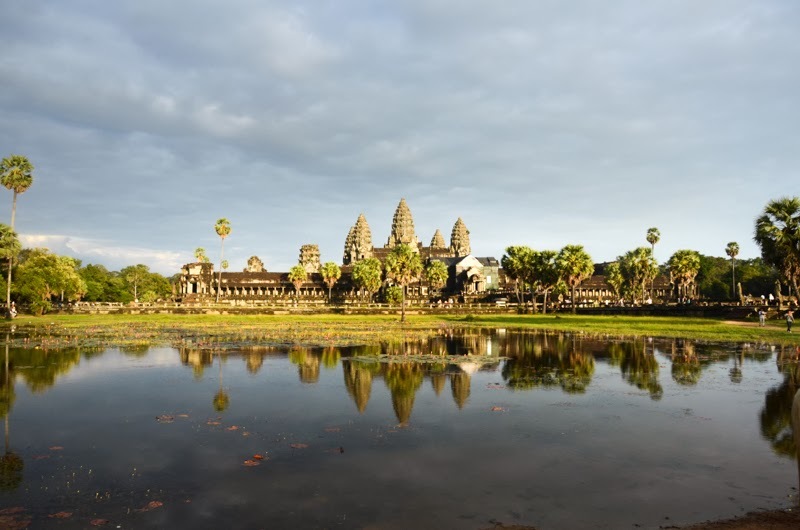 Cambodia has such a storied history. It's ancient culture reads like an Indiana Jones adventure, yet the day-to-day life is a different story, especially with an interesting mixture of a corrupt government and steady stream of tourists. Crossing the border can be an adventure. 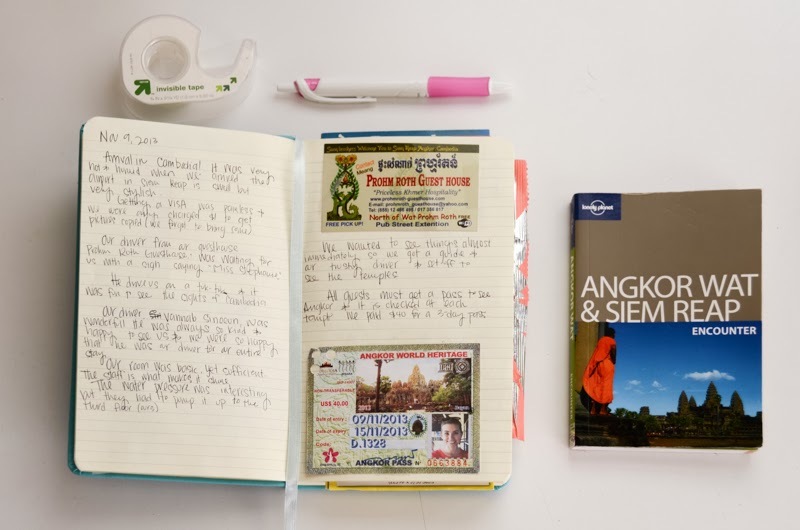 Trying to be budget savvy, we eschewed flying to Thailand in favor of an overland adventure. We crossed by land via Poipet on a minibus costing $25. The minibus took us to the border, the driver helped us navigate the bureaucracy at the border, and then we loaded onto another minibus onto Bangkok. The whole affair took around 6-7 hours. The border crossing at Poipet is exactly as you expect a border. Long lines, hot weather, smells like urine. I'm glad our encounter was brief. 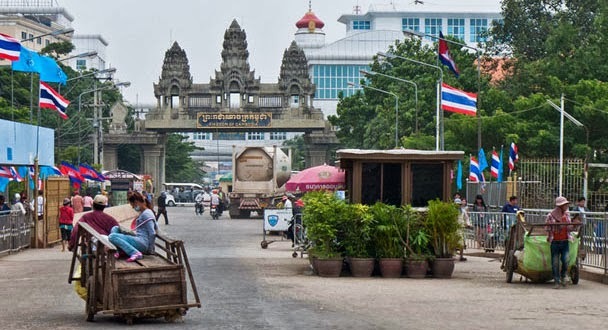 At the beginning of our trip we flew into Cambodia, so entering the country was very easy. The airport is tiny and you can pick up your Visa for $25 at the immigration counter. Write everything down! All of my ticket stubs, restaurant receipts, etc now have a home. Even after a few months, the details are a bit hazy. This journal is one of the most valuable things from our trip. We loved Lonely Planet's Angkor Wat & Siem Reap Encounter guide book because it was pocket size and informative. Wear sunscreen and drink plenty of water. Again, it is really hot and humid. Safety: I always felt safe. However, pickpockets and purse snatching are not uncommon. Keep your bag/camera close to you, especially when you are riding a tuk-tuk. Pub Street is bumping all night long. However, you can find cheaper (and probably better) food on away from the chaos. Pub Street is worth a once over. Connecting with people and learning from one another is a highlight of every trip. Talk to everyone! Hope this helps. Could you help me spread the word?